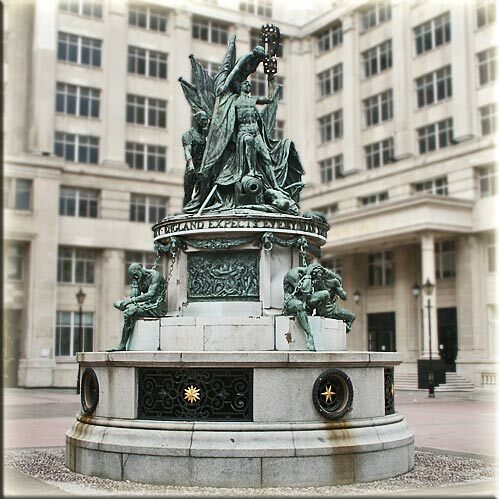 A memorial to the Admiral Lord Nelson in Liverpool with the famous flag hoist "England Expects that Every Man Shall Do His Duty" around the pedestal. What a honor for a hero! It stands in England but you shared it with the computer world.